Internet is killing televisions; there is no doubt with this statement. In fact whole trend has been changing of TV technology. Those smart TVs and Set top boxes are being labeled as “Internet Players”. Major TV manufacturers are now busy with launching internet players. Sony As we know is very old and pretty smart player of TV manufacturer market and this is the reason this very new internet player is not a surprise from Sony. 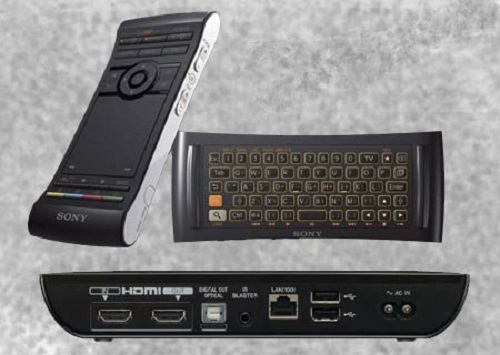 Back in the beginning of this year Sony announced its very new internet player technology –“SONY NSZ GS7 “ Which comes with another big name production Google TV. After 6 month of waiting time SONY NSZ GS7 is now available on amazon and already the device is on home with shipment to people. Ease of use can easily make anyone to choose this internet player. Sony NSZ GS7 is controllable with smartphone app. You play with your all online services like Netflix or other live streaming program right from your android phone. Its Control panel is pretty impressive with a full backlit QWERTY keyboard, a touch pad like mouse pad and pinch and pull zooming feature. All of these are super friendly to gamming and on a first experience a remote control of TV player like this is simply a wow experience. Yes, it is an android device in every sense. You can enjoy android apps as you enjoy on your smartphone. All of the android apps from Google play is available for this. Music, social media, games all you can get it like your android phone or tablet. Connect this device with Wi-Fi network; you can enjoy endless videos and streams directly on big screen with its built in Google Chrome Browser inside. As it is a SONY partnership with Google this device has default Google search to get you find anything you want online. This device is very fun to control with your mobile phone, install an App from Google play to make your android phone a remote control for this device. And having a 1.2 Ghz duel core processor in it this device is faster enough to enjoy.